SYDNEY, Australia, September 18, 2010 (ENS) – This weekend Boy Scouts in the Philippines will help restore a protected mangrove forest, divers will remove marine debris from Jordan’s Gulf of Aqaba, while 27,000 young people across Zimbabwe embark on a campaign against grassland fires. These are a few of the 35 million volunteers in 120 countries who will go to their local parks, waterways and forests from now through Sunday to take part in the annual United Nations-backed Clean Up the World campaign. Activities and long-term environmental projects are undertaken throughout the year with the campaign culminating in the Clean Up the World Weekend in third weekend of September each year. Australian builder and yachtsman Ian Kiernan, who founded Clean Up the World 18 years ago and serves as its chairman today, is concerned about the global loss of biodiversity. “The current species extinction rate is between 1,000 and 10,000 times higher than it would naturally be,” Kiernan said, citing information from the International Union for the Conservation of Nature, which maintains the Red List of threatened Species. “Sadly we, people, are the main contributing factor,” Kiernan said. “It’s a scary fact but there is plenty we can do to turn this around, starting in our own backyards. That’s why we’re encouraging our participants to focus their Clean Up the World activity on biodiversity in their community – protecting the variety and wonder of plant and animal life. 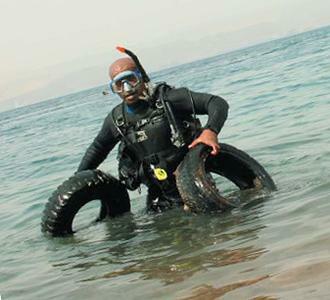 The Royal Marine Conservation Society of Jordan joined the Clean Up the World campaign 14 years ago to prevent further damage to the Gulf of Aqaba from underwater garbage and marine debris. Last year, 75 divers collected 1010 kilos of garbage from Aqaba Marine Park and more divers are expected to participate this year. To protect the endangered forest of Africa’s second highest mountain, volunteers from the group Save Mount Kenya Forest From Extinction are planting thousands of seedlings again this year. 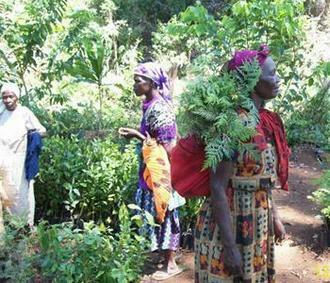 They aim to improve Kenyan forest cover from two percent to 10 percent over the next 10 years, restoring ecosystems degraded by logging and land mismanagement. The next step is to educate local communities on environmental issues, reforestation and income-generating activities from trees, such as bee keeping. Ecologia y Reciclaje de Sonora, a recycling and ecology organization in Mexico, constructed a house out of discarded plastic and glass drink bottles for the indigenous community of San Pablo del Monte municipality in Tlaxcala. The community as well as government, business groups, media and schools are partners in the project. The Scout Association of Guyana is working to preserve a local turtle population by clearing marine debris from beaches. In India, 100 families are joining forces to plant tree saplings across three different areas of Vasundhara in Ghaziabad. In northeastern Romania, the Association Iubim Natura is educating the city of Bacau on conservation and recycling through festivals and films. “The current state of biodiversity and the implications of its continued loss threaten human well-being and economies, North and South,” said UNEP Executive Director Achim Steiner.